Tanzania is the most important hunting destination in Africa, with huge hunting concessions and a large variety of animal species, both in the Northern planes in Masailand and in South, in the typical African forests. Tanzania is a destination where the big four can be hunted in a single safari. It also the only destination where hunting two or three buffalos in the same safari is possible. For this reason we work in several concession within the country in order to satisfy all possible requirements. Permanent constructions are not permitted within concessions in Tanzania, so all camps are tented with private services and a common dining tent. Some services are separated from the main kitchen. – The services of a complete crew including professional hunter, trackers, cooks, skinners, stewards and their necessary assistants. – Provision of fully equipped camp. – The supply of food, fresh fruit and vegetables as well as preserved food of the highest quality available. Special requirements will be catered to as far as possible, provided advance notice is given. – Supply of soft drinks, mineral water, and all alcoholic beverages to reasonable consumption. Champagne is not included. – Government conservation fees, block fees, hunting permit and taxes. – Trophy handling and dipping, crating, packing, export documents and delivery to the export broker for shipping. – Community development fees and anti-poaching fees are included in the trophy fees. – First hotel night upon arrival in Tanzania. – Firearm license of US $300 for each additional firearm. – Trophy fees (for animals taken or wounded and lost). – Hotel after or during the safari. 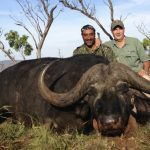 – Air freight on trophies from Tanzania to final destination. – Gratuities to the staff and the professional hunter, to be paid strictly in cash. – Insurance of any description. – Tanzania entry visa and departure tax. 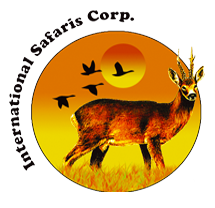 – A deposit of 50% of the safari rate is required to confirm the booking. 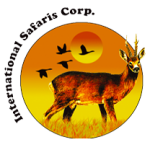 – Full payment for your safari must be received 90 days prior to start date. If full payment has not been received when you arrive in Tanzania, you will not be permitted to begin your safari. – All payments are payable in cash, travelers cheques (plus bank charges of 2% of total value,) or wire transfer. Personal cheques will not be accepted without prior arrangement. – If a safari is cancelled 12 months or less to safari date there will be no refund. If the safari is cancelled 13 months or more there will be a 40% charge of the total cost of the safari, therefore it is highly recommended to get coverage of Trip Cancellation Insurance. – Force Majeure, meaning acts of God, explosion, floods, tempest, fire or accident, war, threat of war, sabotage, insurrection, civil disturbance, government intervention, weather conditions or other untoward occurrences. In the event of Force Majeure, the company is entitled to vary or cancel any itinerary or arrangement. Refunds in this case are solely to the discretion of the company, although all endeavors shall be made to refund where possible. The table below shows the different species available to hunt and in which areas they are found. It also shows the duration of the safari in which these species may be hunted. Trophy fees are in USD$and include a surcharge for community development and anti-poaching. 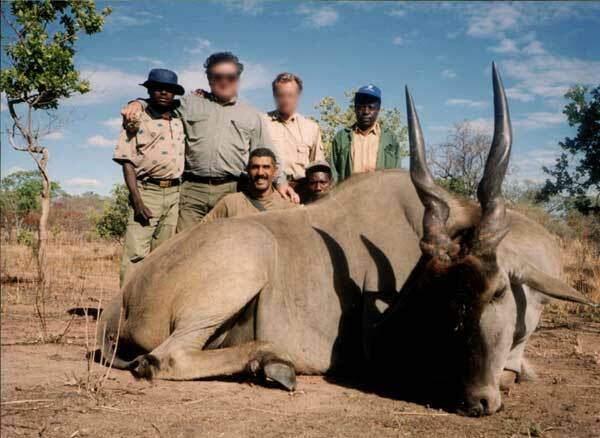 Trophy fees are payable if the animal is taken, wounded or lost.